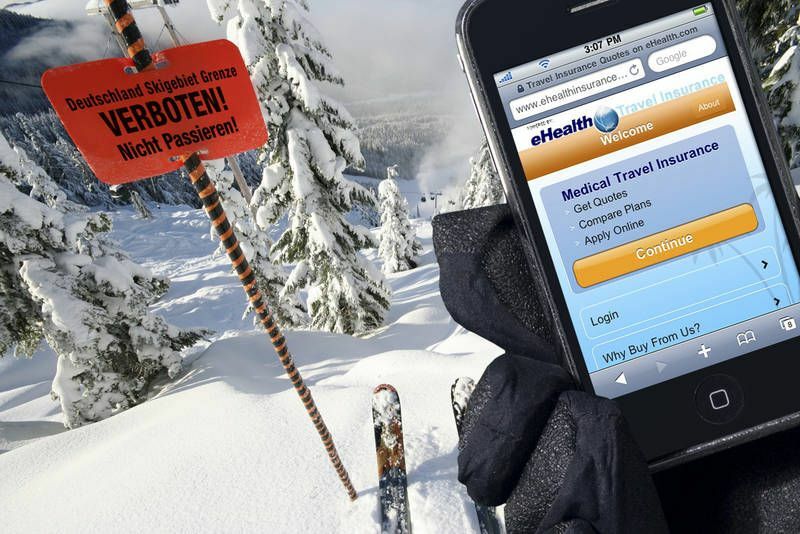 Mountain View California, December 1, 2011 -- Prospective holiday travelers are feeling more uneasy about traveling abroad this year, according to an online survey conducted by eHealthInsurance and PlanPrescriber.com in November of 2011. Poll results found that three-fourths of Americans surveyed1 (77 percent) were more concerned about traveling overseas this year than in previous years. And, nearly one-in-three2 (29 percent) reported not knowing if their existing health insurance policy would cover their medical expenses if they got sick or injured while in another country. With social and political unrest around the world, along with a number of high profile natural disasters that occurred in 2011, it’s not hard to understand why would-be travelers are more concerned about traveling abroad this holiday season. To help people understand their options and better understand their health coverage options while traveling overseas, eHealthInsurance.com, a travel insurance broker and the leading online source of health insurance for individuals, families and small businesses has provided some tips for safe holiday travel by providing answers to frequently asked questions about major medical health insurance policies and travel insurance policies. Question: Travel insurance covers my medical expenses if I get injured in a foreign country and can’t travel home to receive care. Won’t my traditional health insurance policy cover those costs as well? Answer: Health insurance policies differ, but costs associated with long-term hospitalization in a foreign country are not generally covered by a major medical health insurance plan. Outside of the United States, a traditional major medical health insurance policy may cover some expenses but,the benefits are not nearly as comprehensive as they are the United States. This happens primarily because domestic health insurance companies have negotiated rates and prices with caregivers at every level; from physicians and specialists, to hospitals and emergency rooms. These same agreements and negotiated pricing agreements do not exist in foreign countries. Contact your insurer to find out if your major medical insurance plan covers you while travelling outside of the United States and if you will be covered in case of emergency. If your insurance policy does not cover you abroad, it is a good idea to consider purchasing a travel insurance policy that does. There are policies designed specifically to cover health care expenses incurred while outside of the United States. Question: What should I do if I’m injured in a country where I don’t speak the language? Answer: It can be difficult to coordinate with your US-based insurance company when you’re in a foreign country. Translation services can be a critical asset if you’re injured in a country where you don’t speak the language. Access to translators who can help you communicate with doctors, understand costs or locate medical facilities are invaluable in some instances. Travel insurance companies typically offer translation services in a number of different languages. If you're traveling to a country where English is not the official language, it’s a good idea to have travel insurance from a provider whose agents are fluent in the language of your destination country. They’ll be able to converse with your insurance company in the United States, as well as the medical staff providing your care overseas. Question: Will my major medical health insurance cover my "up front" cost if I’m injured in another country? If you're in another country, you may need to pay for your medical costs out of your own pocket, and then submit a claim to your insurance company and await re-imbursement. It’s a good idea to have a high-limit credit card, or cash readily available to cover up-front costs. One of the benefits of travel insurance is that you can purchase plans with deductibles as low as $0, for travel to some countries, so your travel insurer can cover those up-front costs for you. Typically, the travel insurance provider will cover up-front medical costs incurred while on your trip. And, in some cases, they’ll then submit a claim to your health insurance company for any covered expenses once you’ve returned home. Question: If I decide to buy travel insurance, does the type of vacation I’m taking influence the type of coverage I need? Answer: Yes, if you’re participating in “extreme” activities like bungee jumping or scuba-diving while you’re on vacation, you may need to purchase a sports rider. And, the price of a plan can also vary based on the country you’re traveling to. Question: What happens to my children if I get sick or injured overseas? Answer: If you sustain an injury or illness while you're traveling with children under 18, it’s a good idea to have travel insurance. A good travel insurance policy will cover the cost to fly your children home in the event that your medical crisis prevents you from returning home with them. But, you need to be sure to add your children to your travel insurance policy as dependants. 1 From 98 responses to an ongoing survey first conducted online at Facebook.com/PlanPrescriber and Facebook.com/eHealthInsurance on November 14, 2011. 2 From 91 responses to an ongoing survey first conducted online at Facebook.com/PlanPrescriber and Facebook.com/eHealthInsurance on November 18, 2011.